There is a sunny country to the east, where economic disaster looms, investors are likely to lose out, the stability of the government is under threat, and the financial shockwaves are likely to be felt throughout Europe, including in Ireland. And we also have problems with Greece. But Greece - sorry, Greeks - is a sideshow. Greece has 11 million people - by global standards, rich but tiny. China has 1,300 million people, and the largest economy in the world, after the biggest, longest economic boom in world history. Those growth rates - higher than our Celtic Tiger - applied to a country 300 times bigger than us, have made them the driver of the world economy. Or so they claimed. Economic statistics in China are open to being manipulated by the central government, and by regional leaders motivated inflate the figures they report to the centre, in a country where failure can get you shot. Economic growth in China is very real, but may be overstated. We have ghost estates. They have ghost cities - new motorways, shopping centres, tower blocks, suburbs and city streets, entirely empty. 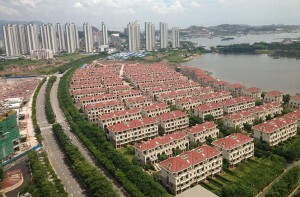 Empty residences and empty motorways in Huizhou, China. China's 'investment' in real estate makes Ireland's property obsession seem breezy and carefree. Just before our crash, 12 per cent of the economy was house-building. If China crashes, it will shake the world. China holds trillions in dollar and euro reserves, and US sovereign debt. China is not a democracy, but its leaders are sensitive to public opinion, and deeply paranoid about preventing unrest. If threatened, the Communist Party is likely to pull investment from anywhere it needs to, to keep their internal economy going, and keep their population working, not protesting. But with ghost cities, and one quarter of the economy building more of them, something has to give. But when? Shanghai is China's largest stock exchange. The Shanghai Stock Exchange (SSE) Composite has been in freefall for nearly a month. That crash - nearly 30 per cent of peak - has put the values back a year or so, but it shows no sign of slowing. 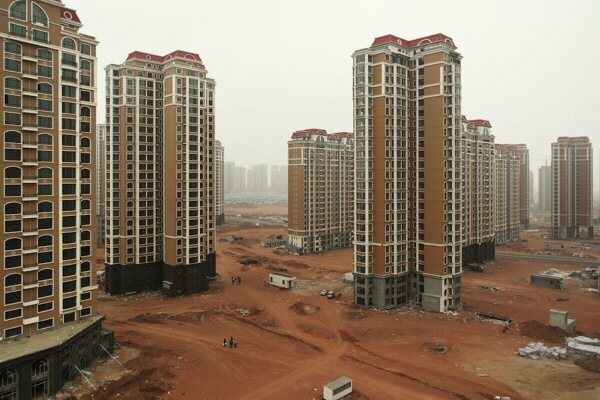 No matter how unthinkable, China's building boom must end sometime, just as ours did. There is no reason to hope that it will be a soft landing.